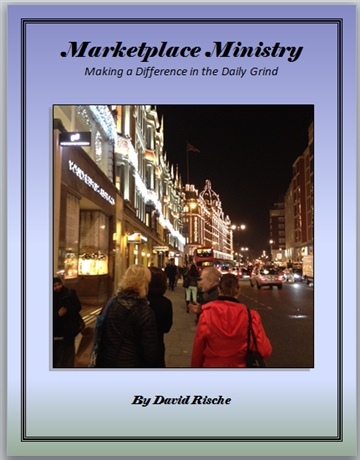 Marketplace Ministry is a short, seven-day devotional representing our work week. Each section provides an inspirational message, quotes, photos, and scriptures to guide you through your vocational journey, purpose, and calling. This book can be read and reread in one sitting or broken down into smaller segments. David Rische is a Christian, husband, father, grandfather, principal, teacher, writer and encourager. He lives in Keller, Texas and has been in public education for over 20 years. David has three children and one grandson. He enjoys traveling with his wife and kids, biking, outdoors, reading, NFL and MLB, board games, movies and making people laugh.